If you're a music fan, June normally means just one thing: Glastonbury! 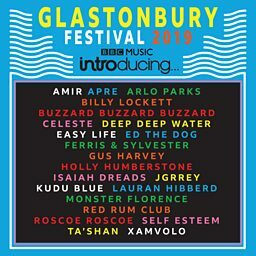 And this year BBC Music Introducing will once again be at the prestigious festival in Somerset with our very own stage showcasing some of the hottest emerging music the UK has to offer. The following 21 artists on our line-up have one thing in common: they all uploaded their music to the BBC Music Introducing Uploader and caught the attention of one of our local shows around the country. Want to discover the next big thing in British music? Our stage is definitely the place.